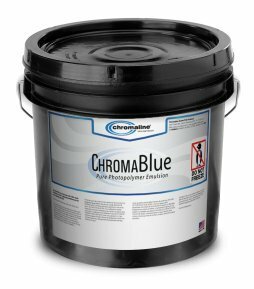 ChromaBlue, for use with plastisol inks, is ideally suited for textile printers using direct emulsions who are seeking faster screen turnaround without sacrificing image quality. If you have any questions about this product by Chromaline, contact us by completing and submitting the form below. If you are looking for a specif part number, please include it with your message.